Korshunov Eduard L. Andrey A. Mikhailov Panov Roman A. 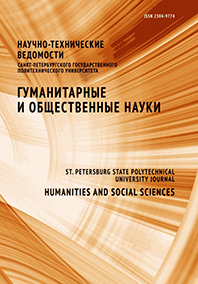 The article is dedicated to activity work performed by the teacher of Polytechnic Institute Zakharenko Semion Ephimovich (1906-1966) in 1941-1942. He has invented quite original and innovatory device to fight against tanks, so-called «flame throwing mine». The scientific activity of Zakharenko is analyzed in connection with other works of Leningrad scientists on military technical provision of the Red Army under hard conditions during first period of the Great Patriotic War and the blockade of Leningrad.